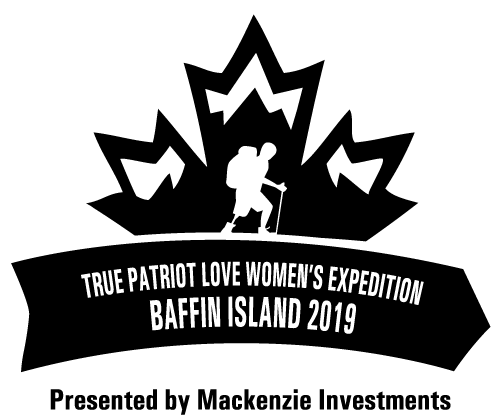 Next April 1-14, I will travel with a team of female business leaders and military veterans from across Canada on the first-ever all women's True Patriot Love (TPL) Expedition. The purpose is to raise awareness and critical funding for veterans and their families. I have decided to do this Snowshoe Expedition traveling 100 km across Baffin Island into the Arctic Circle in -30C temperatures. Each participant must raise $50,000 individually, in addition to purchasing their own gear and travel arrangements, in support of military veterans and their families. While I'm terrified of the cold but excited to make the journey across the Akshayuk Pass - a rare section in the Owl River Valley and ancient riverbed route through glaciers - I know this will be an adventure of a lifetime! Funds raised will provide physical, mental and job training support across a variety of programs through the True Patriot Love Foundation (TPL). Since 2012, TPL has raised over $8 million in funding for mental health and physical therapy programs for Veterans living with Post-traumatic Stress Disorder (PTSD). Their personal sacrifices and injuries impact their families, so TLP also works to provide access to job training and placement services that aid in their recovery. 1) TO THANK & HONOR VETERANS & THEIR FAMILIES: including emergency responders who keep peace and protect us. I want to honor my beloved son Marcus, a former West Point Military student who died in a tragic accident in 2012. To my brother Tom, a paramedic who suffered from PTSD and took his life, I share every step with you. To my younger brother Paul, who served for nearly 20 years on the Metropolitan Toronto Police Force, you continue to inspire me and I think all of those who like you, serve others unconditionally. 2) TO CONNECT: with the Arctic landscape and meet the Indigenous people of Nunavut, and also have an opportunity to bond with female veterans. As founder and CEO of WomanScape, I will share daily experiences about the challenges and lessons learned. I’ll forge new friendships with my teammates and learn about the culture and lifestyle of the Inuit people, especially the women and children. 3) TO SHARE THIS JOURNEY: with all of you, including WomanScape readers who may never get the opportunity to experience this life-changing trek. I’m inspired knowing nothing is impossible with preparation, courage, and determination. Do I pay my own way? Yes. As a participant, I must cover ALL of my own costs and commit to raising $50,000 on my own for the True Patriot Love Foundation. I hope to surpass this goal by getting as many people donating as possible. Thank you for your generosity. Why True Patriot Love Foundation (TPL) and what have past expeditions achieved? Donate and follow my training progress on my social media handles. I need your support to reach my commitment. I am ever-grateful and appreciate this once-in-a-lifetime personal experience and opportunity to give to those who proudly serve. YES if you are Canadian but not if you live in the United States, donations are only tax-deductible for Canadians. *Please note donations are not used to cover my participation costs.